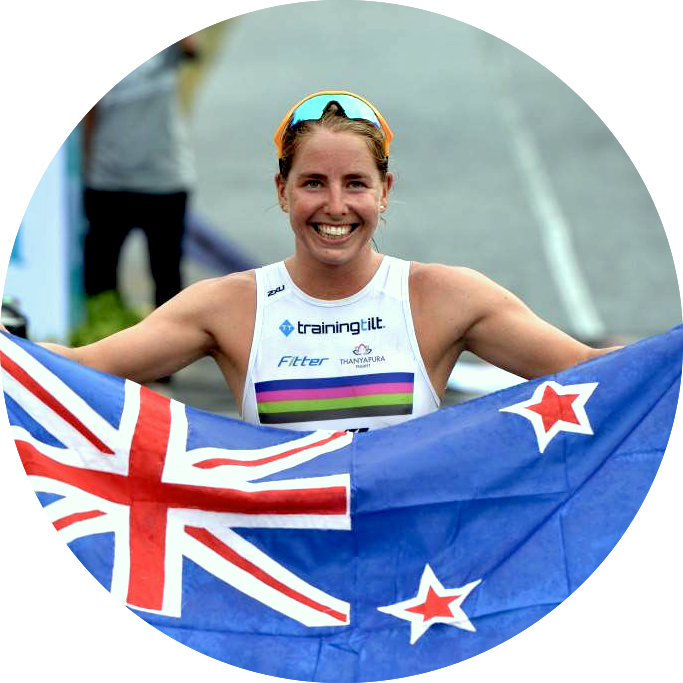 Amelia's update this month is an insight into the daily life of a pro triathlete. You can watch the video or read the text version below. We hope you enjoy it! The sun beat me up this morning, a much-needed sleep in day after a few 4.35 am starts through the week for swim squad and bike bunch. I leave my phone on the other side of the room, so there's no snooze button temptation. I’m always up at least 1hr before my first session to allow my self a transition period to wake up and enjoy my morning long black, seedy toast with coconut oil, natural peanut butter, jam, the BBC news and sometimes hang the neverending washing out. Small but quality contingency on Saturday mornings, with most of the surf lifesaving athletes at the beach for board training. The Squad has an inspiring work ethic to it most of the time, with Nick and Kareena 1500-10k swimmers part of the Aussie squad, plus some of the up and coming 14-16-year-olds, and Coach JRs ruthless yet caring poolside banter. Big session of 7300m this morning (sessions are normally 6000m ish). Caught up on the upcoming swim carnival news, plus caffeine is supposed to speed up recovery. Had to drive down to the bike shop to pick up my TT bike, so packed some oats, nuts and seeds, and True protein. High of 33degs today so glad we have a giant fan for my turbo in the garage. Alex was up early for a long ride with a few others, and my oats weren’t quite enough to get me through my bike run brick session. Gluten-free chiabata, Baby spinach, avocado, Poached eggs, radish, hummus and another long black. Some time in the RecoverySystems boots, start on my new Cannibal race kit design, book with FlightCentre to Bahrain 70.3 and some friends from Melbourne have just arrived so planning some beach and hiking trips planned for the rest of the week. Hard main set of 6x8min with some cadence variations within each effort. Multitasking by watching Limitless on Netflix and had some electrolyte powder and BCAA in my bottles. Quick change into my shorts because I hate running with a giant shammy. Out and back along a pretty much flat footpath with a slight tail wind home. 2 glasses of soda water and lemon, and a Protein smoothie with ice, spinach and greens powder. Quads and hammys are getting pretty tight from a fair bit of biking. Drove down to Jetts, its only 2km away so sometimes I run there. Lighter more bodyweight session and some bosu balance today, usually I gym 2x per week with the other session heavier with weighted squats, deadlifts and leg press. Alex is on dinner tonight, cooked his number one recipe, kumera (sweet potato) fritters and a big everything salad, theres always enough for the next 2 days of lunch too. Some good music, chat with the house mates and a little frozen coconut boysenberry yoghurt for dessert. 30min of ebook reading and set the alarm. Work tomorrow (just 3-5hr shifts 3-4x a week at a holiday rentals place) so an early start to get my bike session in beforehand. Aug 6 July Blog - Swim, Turbo, Walk, Pro athlete?